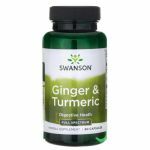 Swanson Broad-Spectrum Ginger & Turmericis a powerful synergistic combination for all-natural health. Both herbs are most commonly used as spices that enhance the flavour and taste of many dishes. But they have also been conventionally used as health-promoting herbs for generations. 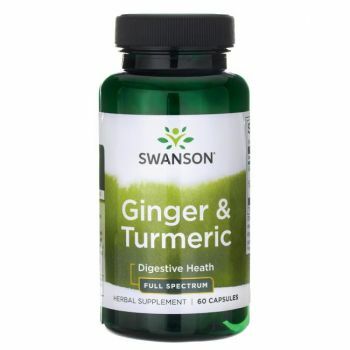 Ginger is renowned for its soothing effect on upset stomachs and its ability to aid digestion. Turmeric is a powerful antioxidant. Combined, these herbs improve general health and well-being and have a beneficial effect on the human body. Each capsule contains 300 mg of ginger and 300 mg of turmeric. quaranta anni comincia la vita viva la vita.viva el GRECIA. QUARANTA ANNI COMINCIA LA VITA.VIVA LA VITA VIVA EL GRECO.